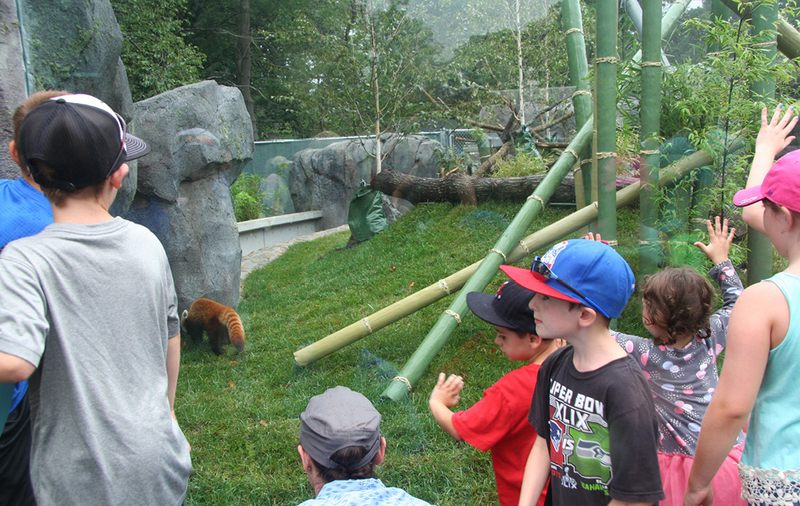 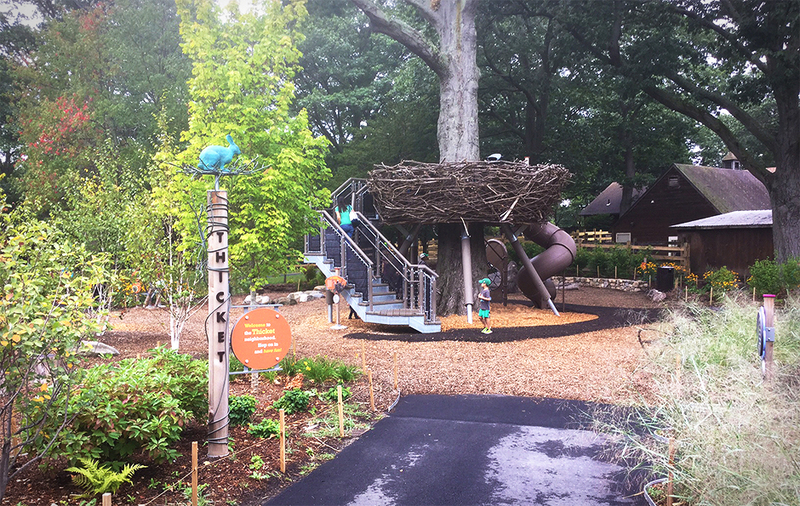 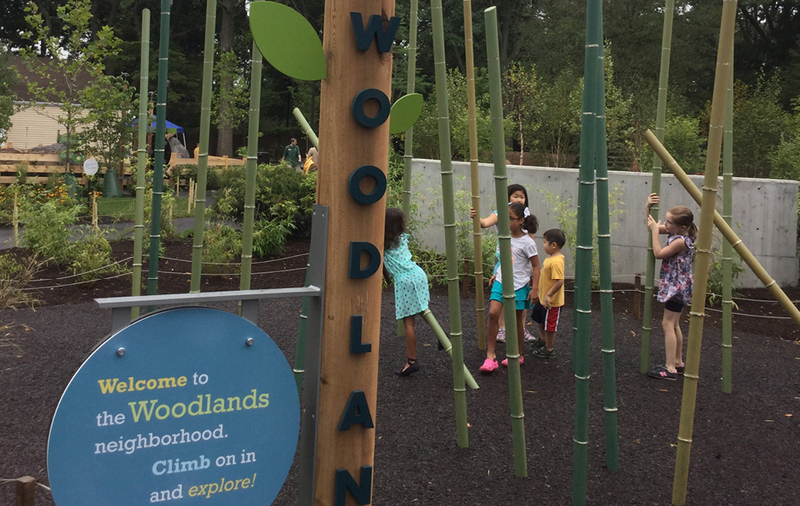 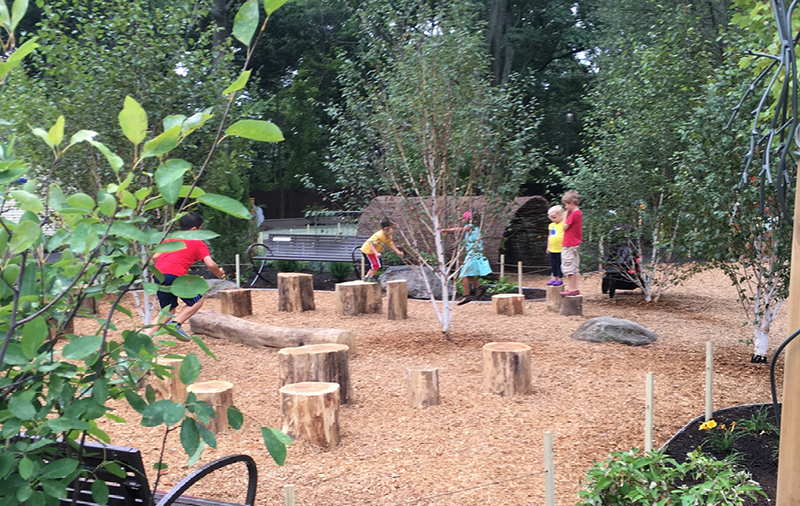 Nature’s Neighborhoods, Franklin Park Zoo’s new children's zoo, intermingles live animal exhibits with parallel play and “safe risk” adventure play experiences. 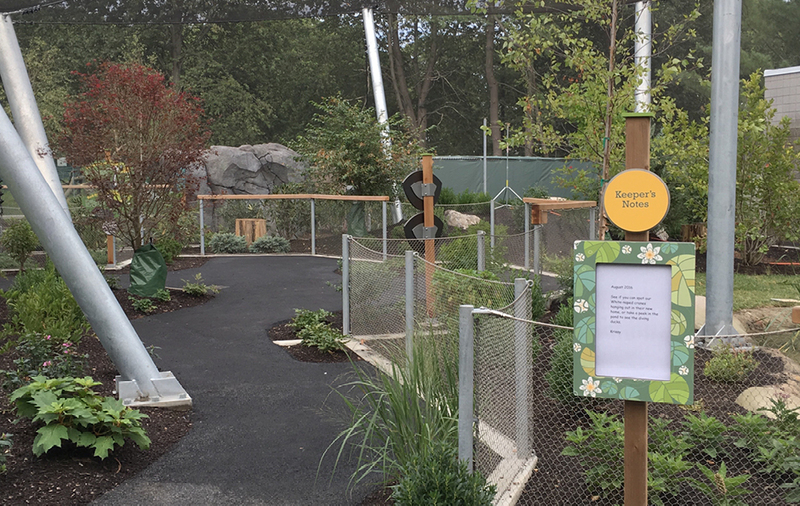 The project is loosely organized into three biome-based multi-species exhibit and experience zones – Woodlands, Wetlands, and Grasslands – linked by The Thicket, a multi-faceted play space inspired by classic New England transitional pastures: the ecotones where different “natural neighborhoods” overlap and intersect. 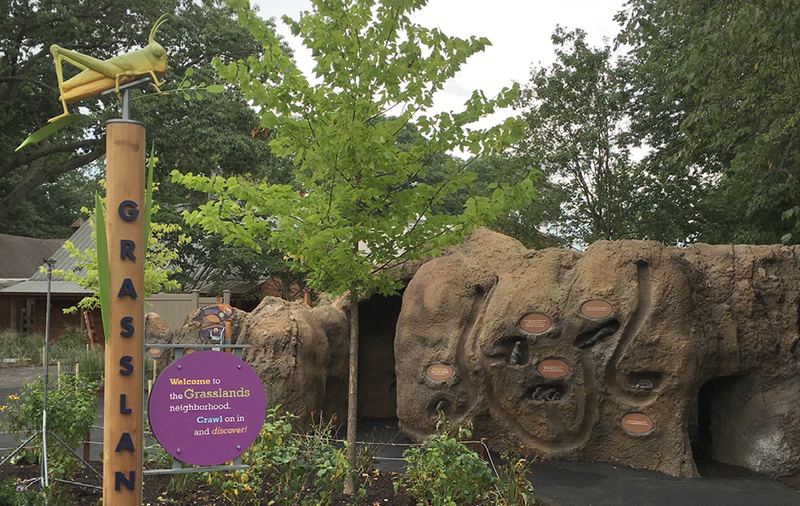 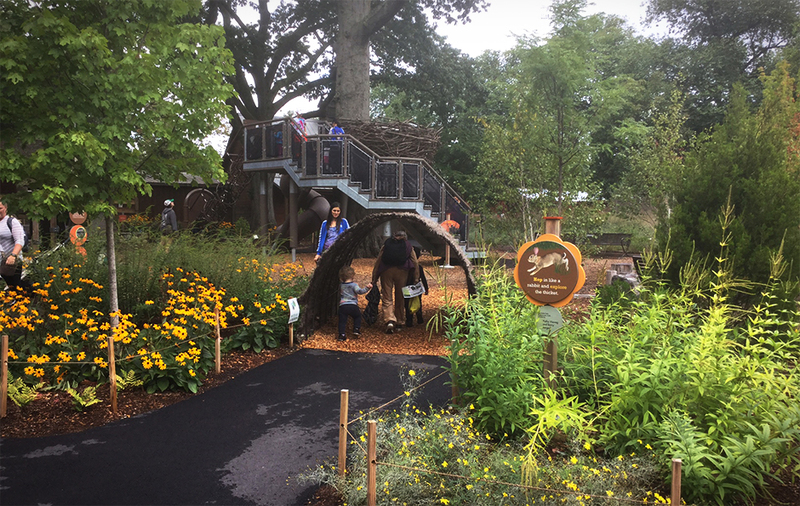 Live animal features include prairie dog, red panda and muntjac exhibits, and a mixed species walk-through waterfowl aviary. 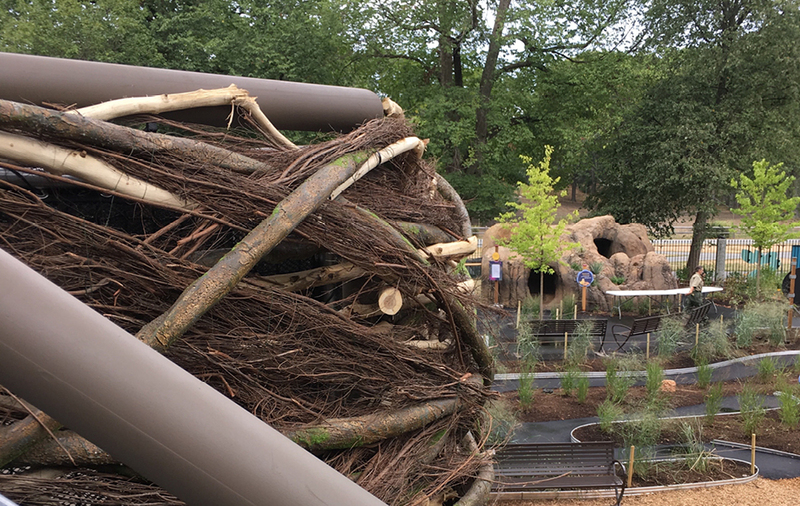 Guests climb like a panda in a constructed bamboo grove, make their way through a tallgrass maze, clamber across boulders, stumps and fallen tree trunks, and sneak through their own secret "rabbit hole." 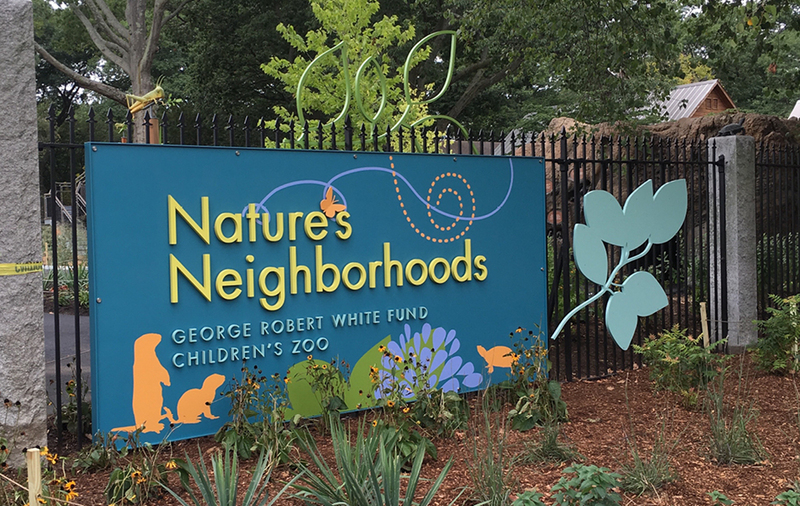 Nature’s Neighborhoods invites young adventurers and their families to explore the richness and complexity of the natural world, both far away and close to home.